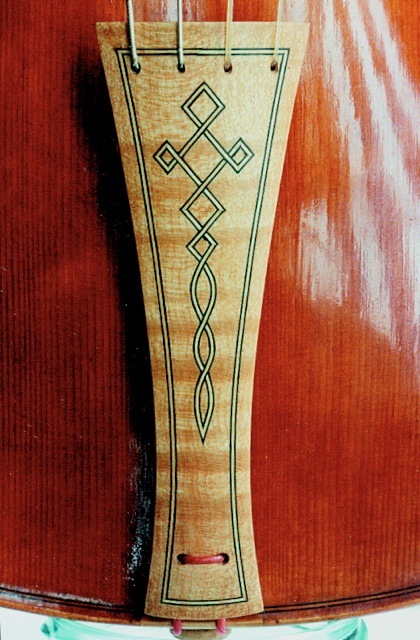 Whilst the violin as we know it today appears to have emerged from its Renaissance predecessors in the mid 16th century, the way it is both played and set up has gradually evolved with more radical change occuring in the early 19th century when the modern ebony fingerboard and angled neck, morticed into the body, became the norm. 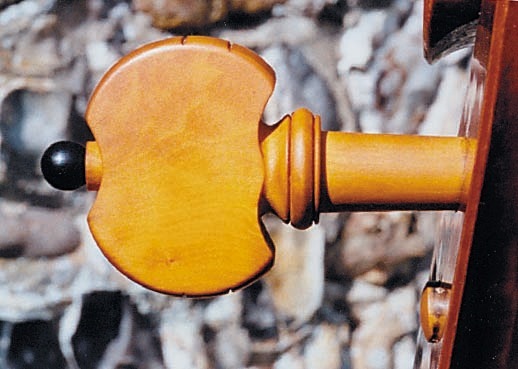 The bass bar, soundpost and other fitting all similarly changed, with the new styles adopted at varying rates across Europe: almost every historic instrument surviving from the 17th and 18th centuries has had its neck and fittings transformed to what is now the modern standard. 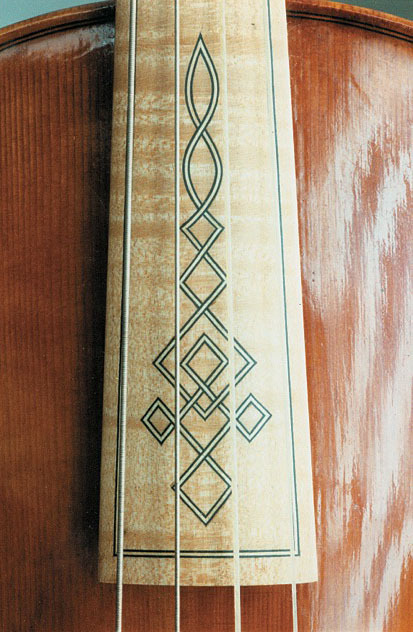 Since the period instrument revival of the 1970s both players and makers have been on a quest to rediscover the techniques of the past and to hear the Baroque and Classical repertoire with a fresh palate of sounds : whilst a lot of the music was already well known from traditional orchestral performances, some would say that the sound of, for example, Vivaldi played by a period band is analogous to the sight of the vibrant colour of a great Italian painting revealed after the removal of centuries of yellowed over-varnish. 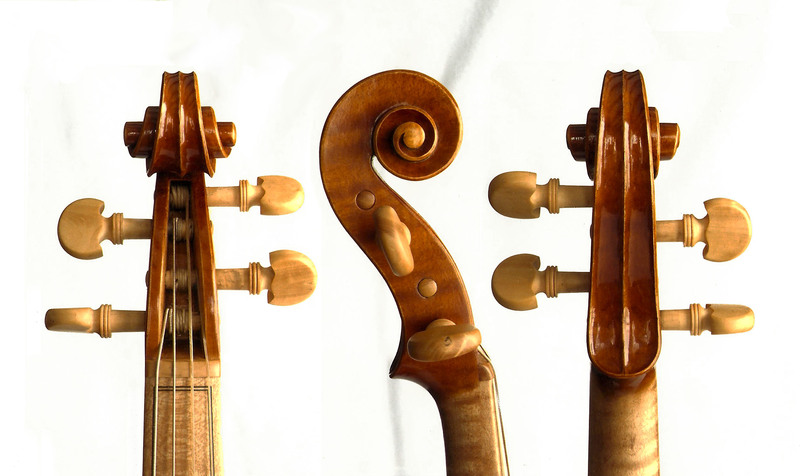 Over the years we have worked on a number of significant commissions relating to baroque instruments; both new making, and the conversion of old instruments back to a period set-up: more about this on the restoration page. In addition to individual commissions, in 1991 we made a group of violins and a cello for the then fledgling Brandenburg Orchestra of Australia, the first professional period instrument orchestra there. 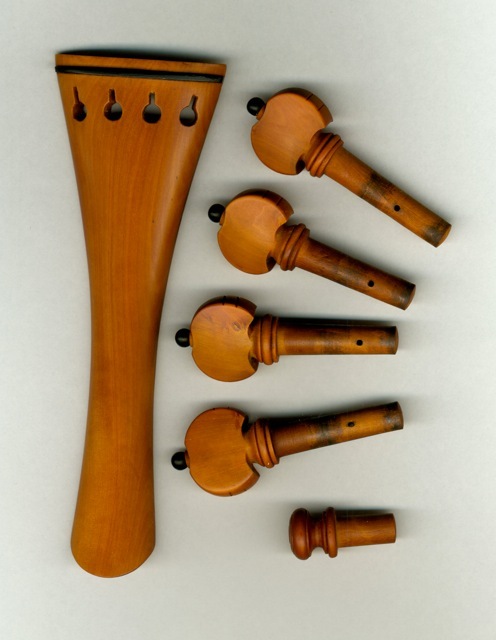 More recently we have worked on a number of old instruments which have retained some elements of their original set-up: restoring these instruments to full period-specific condition is very much in line with our conservation minded aproach to restoration. 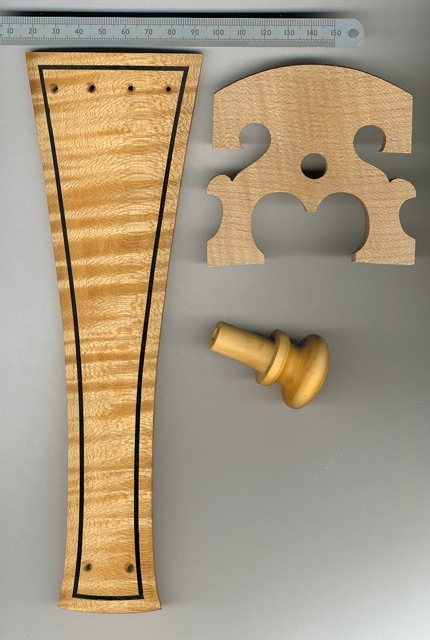 The scroll pictured at the top of this page belongs to a baroque viola with one of our first sets of hand-turned pegs: for our own instruments both modern and baroque we make our own fittings including pegs and tailpieces in European boxwood.